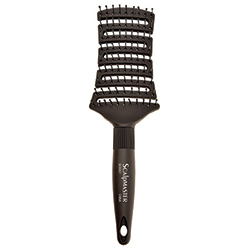 Unique detangling brush with nylon bristles. 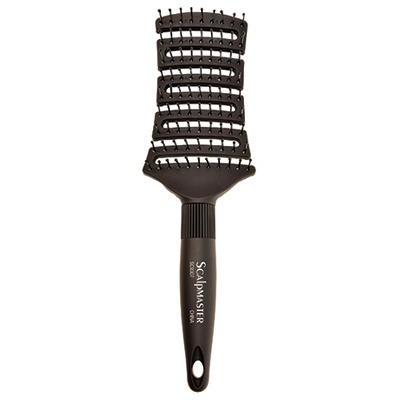 Flexible, vented design speeds up drying time and contours to the shape of the head. Perfect for all hair types.